I just received the preliminary menu for the upcoming An Evening Uncorked. I am so glad I already bought my ticket! Read more here about this February 6th event, to be held in The Botanical Center at Roger Williams Park. OK - it's lunch time as I write this; I shouldn't tantalize you with talk of delicious food from some of RI's finest restaurants, and not spill the beans (ouch, bad pun), so I'll announce the menu. These are the dishes our guest restaurants will be preparing for you. Each will be paired with just the right wines, courtesy of MS Walker. 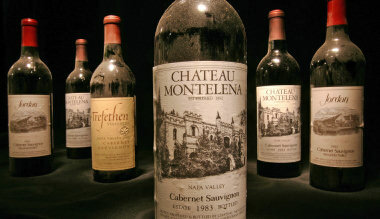 The collectible wines up for auction are also pretty amazing. The food editor at the statewide newspaper wrote a nice article about the wines, and includes a great photo of the bottles. Join us on February 6th at 7 PM. After more than a year of work, filmmakers David Bettencourt and G. Wayne Miller have released their feature-length documentary ON THE LAKE: Life and Love in a Distant Place, an emotionally powerful look at the tuberculosis epidemic in 1900s America and globally today. 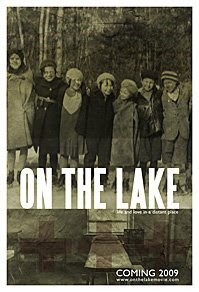 ON THE LAKE tells its story with never-before-seen footage and stills, and the on-camera accounts of TB survivors – including Barbara Parkos of Newport; Emily Martineau and Sheila O'Brien, both of Harrisville; John Lynes of Pascoag; Russ Denham, who summers in the Ocean State winters in Florida; and 80-year-old Frank Beazley, who has been a patient at Zambarano for almost 42 years. Much of ON THE LAKE is based at Zambarano Hospital on remote Wallum Lake in Pascoag, R.I., which opened in 1905 as a TB sanatorium. But what started as a local story about the institution unfolded into a much larger story about tuberculosis worldwide and that led the filmmakers to sanitoria around the country. Segments were filmed in Massachusetts, North Carolina, Maryland, Colorado, and Saranac Lake, N.Y. – a community actually built around the disease. Even before it premiered on the big screen on February 13, 2009 the film had already become part of a worldwide initiative to stem the epidemic rise of TB and has been recognized by the Stop TB Partnership, a Geneva, Switzerland-based healthcare organization that includes members of the World Health Organization, the US Centers for Disease Control and Prevention, and the US Agency for International Development. But the power of the film is its story. Through letters, postcards, and on-camera interviews with survivors, the moving stories - interwoven throughout - put a human face on the epidemic. Beyonce, Madonna, Sting, Bono and the Edge, Alicia Keys, Justin Timberlake, Christina Aguilera, Bruce Springsteen, Rihanna, Taylor Swift, Justin Timberlake, Keith Urban, Jennifer Hudson, Mary J. Blige, Shakira, Dave Matthews, John Legend, Stevie Wonder, and Kid Rock. I don't know about you, but after this latest streak of snow, frigid temperatures, and biting cold wind, a tropical getaway to warmer surroundings sounds pretty inviting. On February 6, you can get away to the tropics – without ever leaving Rhode Island! That's the bonus of attending this year's An Evening Uncorked, the annual food and wine event to benefit WSBE Rhode Island PBS. This year's gala will be held in New England's largest indoor garden, the Botanical Center at Roger Williams Park, on Saturday, February 6 at 7 P.M.
Amid lush exotic flowers and trees, chefs from 10 of Rhode Island’s top restaurants will prepare tasting-sized portions of dishes that will be paired with just the right wine to complement the flavors. Participating restaurants are 1149, 3 Steeple Street, Blaze, Capital Grille, Gracie's, Haruki, New Rivers, Nick’s on Broadway, Pot Au Feu, and Trio. MS Walker will provide the wines. An Evening Uncorked will also feature live and silent auctions of highly collectible wines. The fundraiser is co-chaired by Aldo Cipriano, Gary Light, and Greg Mitrakas. An Evening Uncorked is underwritten by Gencorp Insurance Group, and Adler Pollock and Sheehan, PC. All proceeds benefit WSBE Rhode Island PBS.